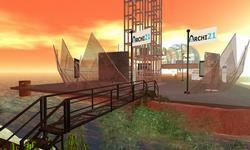 Virtlantis is a free language learning resource and practice community. Since 2006, they've offered free informal learning activities for a growing number of languages: English, French, German, Spanish and more. Simply check out their activity calendar to get started today! 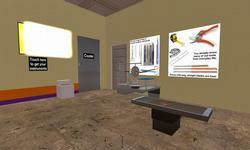 Coalition Island is a nexus of United States armed forces activity and collaboration taking place in SL. 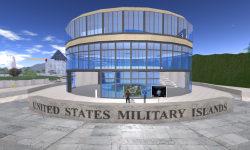 Learn more about Military Lands at http://wiki.secondlife.com/wiki/Military_Lands. Find out about Yoruba life and art in 1796 as you navigate to modern Ijinle or to Salvador da Bahia in Brazil to see interconnections, past and present. More info at http://yorubalight.wordpress.com. 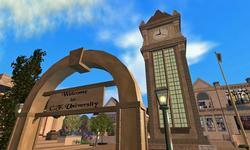 Visit the Unisinos virtual campus: the first Brazilian university to own an island dedicated to research virtual worlds at Second Life. Come to watch classes, events and meet the research group GPe-du. Visite o campus virtual Unisinos: a primeira universidade brasileira a ter uma ilha dedicada a pesquisa em mundos virtuais aqui no Second Life. Venha assistir nossas aulas, eventos e sinta-se a vontade para conhecer o grupo de pesquisa GPe-du. 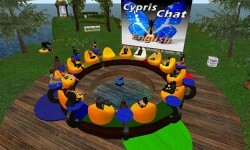 Cypris Chat strives to provide an educational, fun and interesting environment for English learning and teaching. Members have the chance to be part of a living community surrounded by others who are learning, teaching or simply interested in speaking English with people from around the world. ARCHI21 is an ongoing EU-funded project, combining learning and teaching of, in and through the fusion of languages, architecture and design. Dynamic spaces and places designed and built by students, faculty and architects support the experimentation, experiential learning and professional development in the evolving process of knowledge building across disciplines, professions and countries. Presented by the Boomer Esiason Foundation, this region aims to educate the general public about cystic fibrosis, provides valuable resources to sufferers, and is a fun place to relax and socialize with the CF community. Despite not being suitable for the squeamish, this simulation of a forensic pathology service has been built by a real life practitioner. It holds educational lectures about autopsy procedures and explains what we can learn from them. 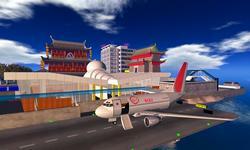 Initiative by the Chinese Studies Program at Monash University in Melbourne, Australia, designed to complement traditional classroom tuition with context-based, hands-on learning in the virtual environment of Second Life. 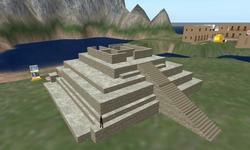 Visit a project that replicates some of the most important pre-Hispanic buildings in Peru. Developed by the Universidad de San Martin de Porres in Second Life, this work is the result of a research team aimed at understanding how virtual worlds can better connect teachers with students.